RAW HOLLYWOOD : NEW MUSIC: DJ KHALED FEAT. 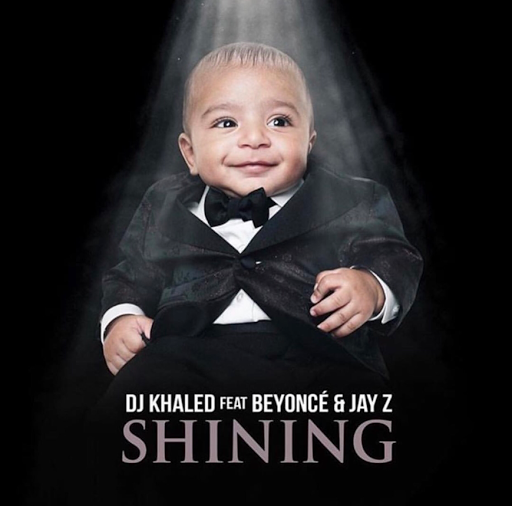 BEYONCÉ & JAY-Z "SHINING"
NEW MUSIC: DJ KHALED FEAT. BEYONCÉ & JAY-Z "SHINING"
After the 59th Grammy Awards aired last night DJ Khaled had a surprise up his sleeve with the release the new song "Shining". The song features Beyoncé singing the sweet sounds of her successful winning streak just moments before husband Jay-Z rhymes about the soon to be born twins that they will be sharing. Khaled's newly born son Asahd plays the visual for the cover artwork that will be featured on the album Grateful.